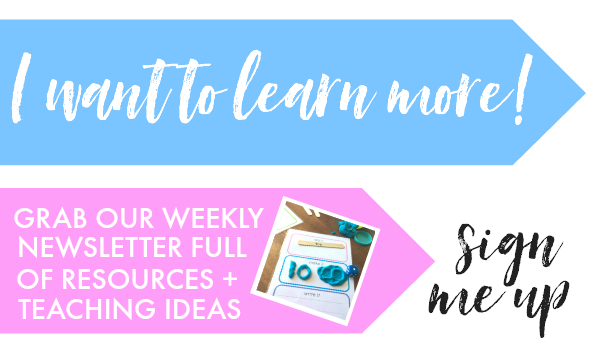 Why you should be using a visual timetable in your classroom and how to use one. 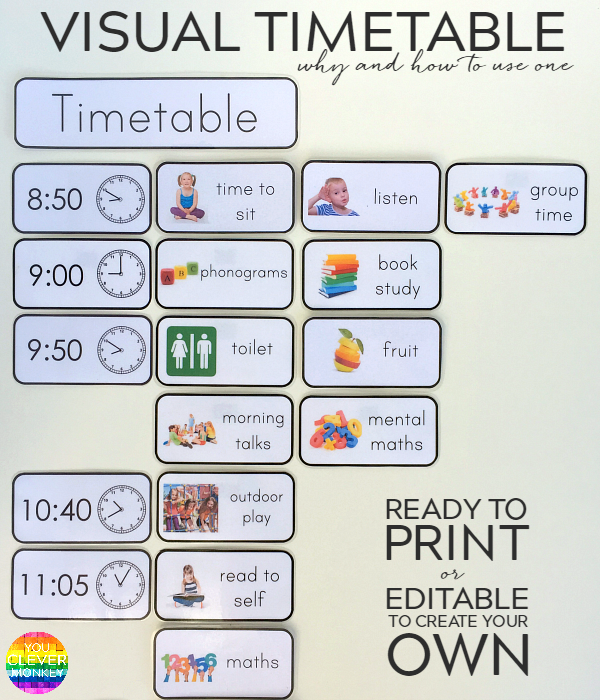 Add our ready to print editable visual timetable cards with real life photos to your classroom now! 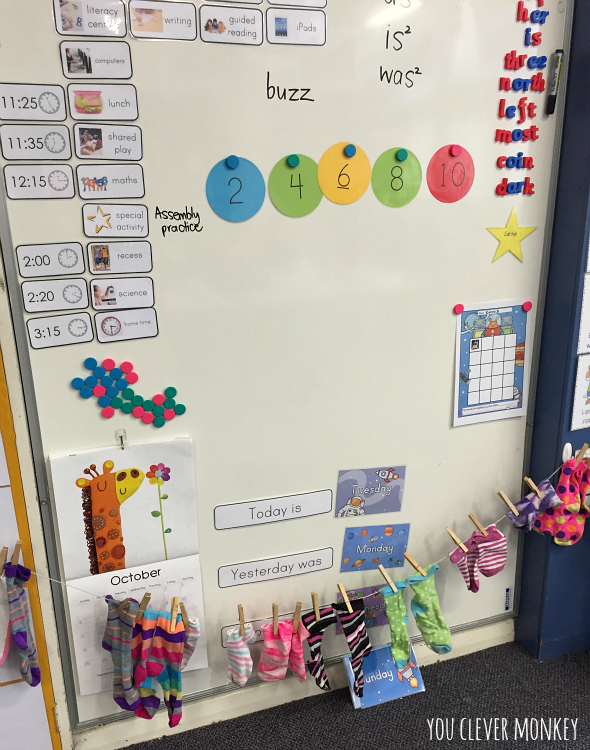 One of the most effective tools I've used in my Early Years classroom is a visual timetable. 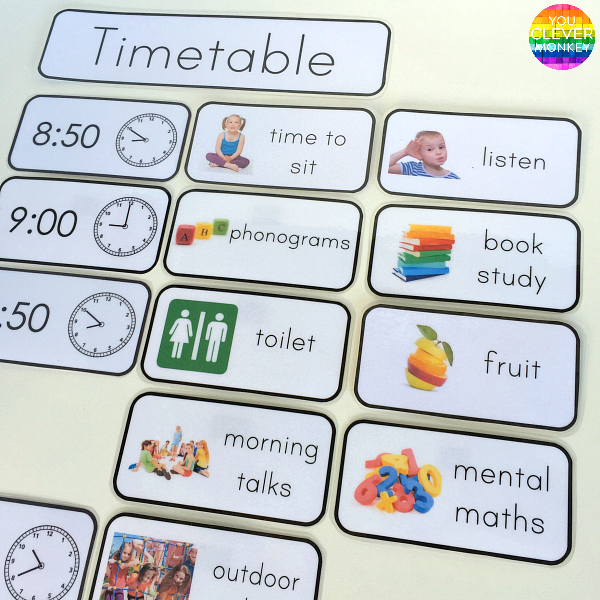 Recommended by occupational therapists, special needs specialists, speech therapists and behaviour management coaches, a visual timetable is a must for any classroom. 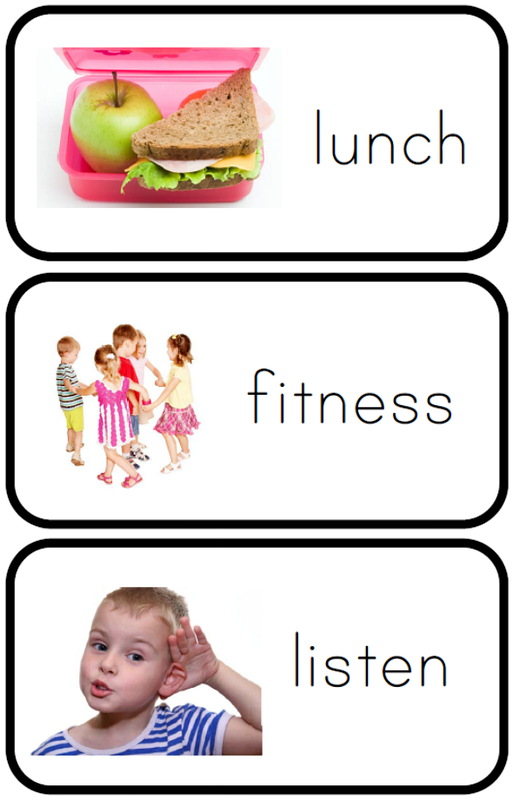 Using daily schedule cards can support young children a number of different ways either individually or as a part of a whole group routine. Like anything to be effective, you need involve the children in the use of the timetable. Like most of my printables, I made these schedule cards for our daily routine because I couldn't find the one I wanted few years ago when I first looked for one to use one in class. I wanted one which was simple and clean looking with real photos rather than cartoons. I also created some clock face cards to match. I know there will be many of you saying you prefer the Picture Exchange Communication System or PECS picture cards but did you realise that real photos are preferred and more effective but it's just too difficult to find real life photos of everything you sometimes need PECS cards for? 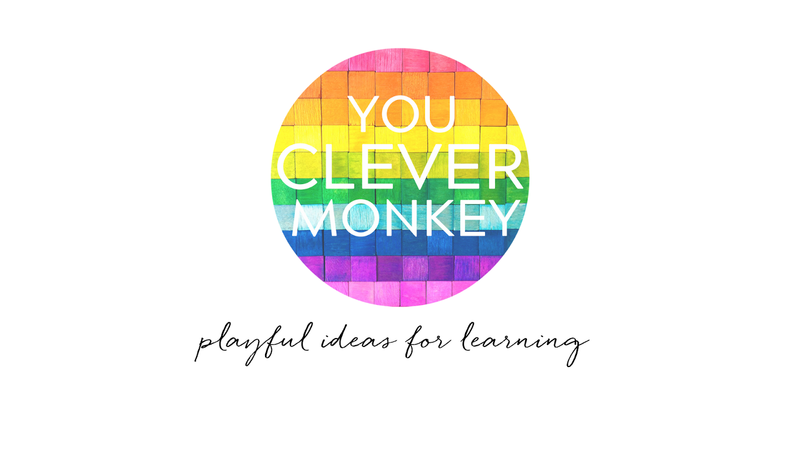 I have managed to find photos suitable for every subject I needed so created my own visual timetable cards which you can also use in your classroom! 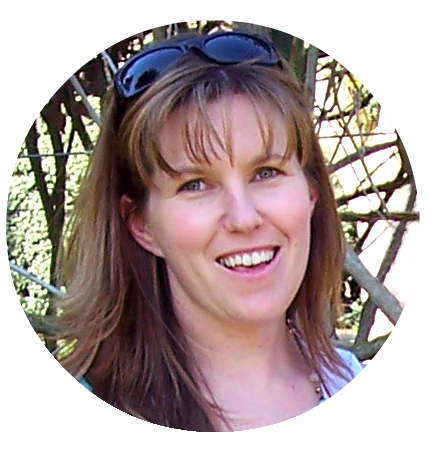 WHY USE A VISUAL TIMETABLE? 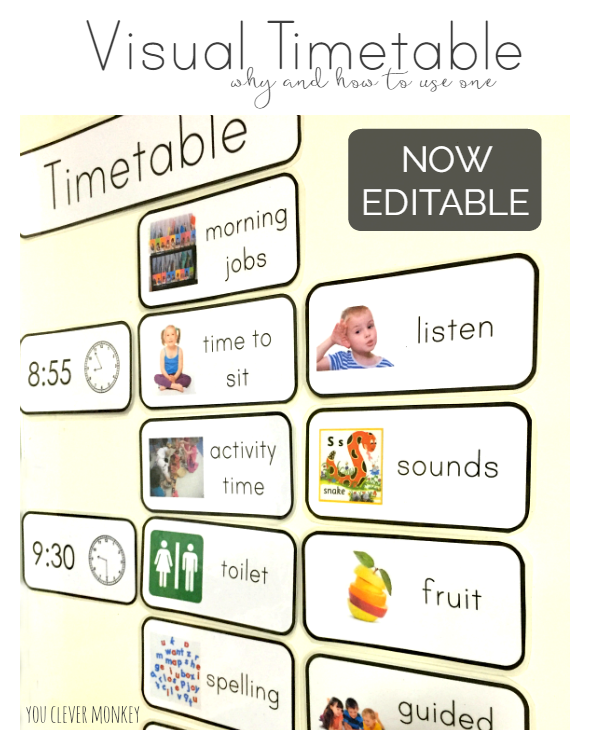 Visual timetables are often recommended for use in early childhood both at home and in educational settings but should be used as an interactive tool. Used consistently, they can help establish independence in young children. A daily schedule can also help young children connect the real and the abstract - what I am doing now compared to what I might do after lunch and allows prepositional language to be used in meaningful ways - first, next, before, after. It can be a useful tool to help communicate tasks that otherwise might not be understood by every child. The cards all include an image and simple printed words which encourage children to read building on their growing understanding of the directionality of print. They also become more familiar with key words relevant to their day. 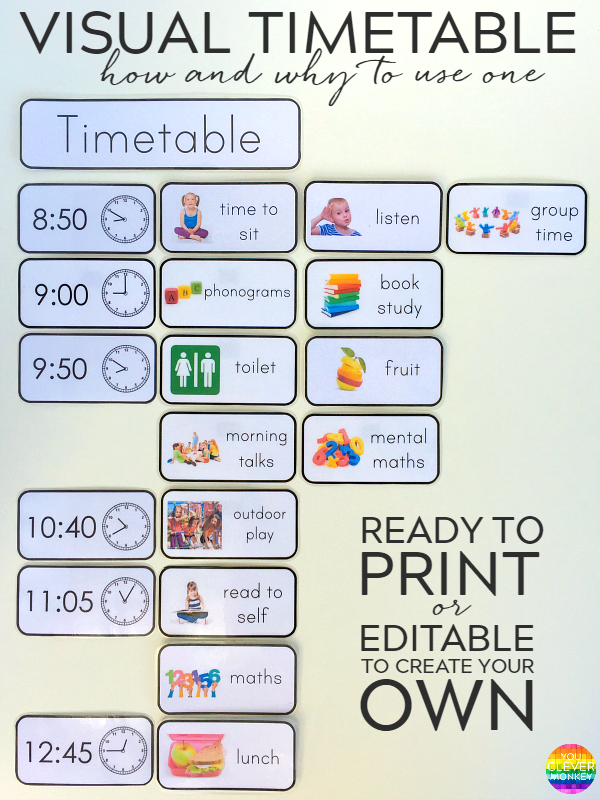 Using a visual timetable can also help reduce anxiety in young children. By using it daily and referring to it often especially when you first use it, you can help children understand how to 'read' it which allows them to become more independent. It can also help provide a necessary structure for some individuals to reduce stress and allows these children to better prepare and cope with transitions alleviating some anxiety they may experience otherwise. For children with Speech and Language difficulties including those for whom English is their second language or those who require extra processing time, having a visual to refer to as they need can also help them focus or refocus on the task at hand. This is again why I use real life photos rather than clip art for my visual timetable as young children are better able to connect to concrete examples than they are abstract ones. A good visual timetable will also be improving comprehension as much as they are creating structure. They are perfect for introducing new routines, rules and procedures at the beginning of the school year. Of course to be meaningful to the whole class, any visual timetable you utilise should be at the correct literacy level of your students. Consider the function of each visual - is it practical? Will it make sense to my students? Your visual timetable should always be visible. You can see mine is situated at the front of our classroom at a height every child can see. 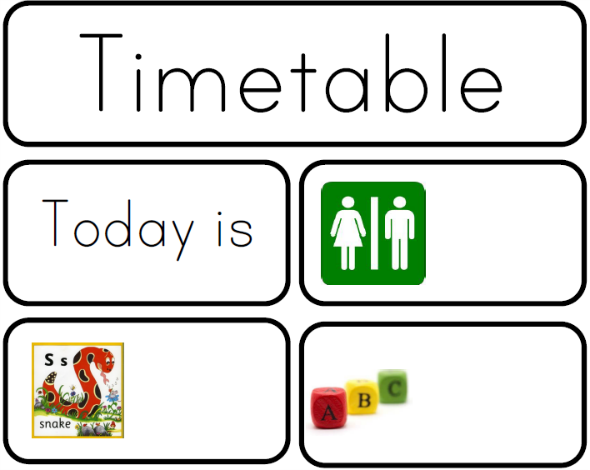 Knowing that visual timetables need to be made to suit the child and the environment to be most valuable so I've also created some blank timetable cards with images only to allow people to add their own text/labels to. blank cards included for easy editing. edit to add your own label in your own font! Print friendly - choose just the cards you need! LABELS INCLUDED - phonograms, sounds, toilet, fruit, crunch and sip, spelling, handwriting, literacy centres/centers, parts of speech, word work, guided reading, dictation, daily 5, read to self, guided reading, listen to reading, read to someone, book study, work on writing, text structure, reading strategies, reading, shared reading, reader's theatre, silent reading, partner reading, spelling test, independent reading, show and share, oral language, morning talks, mat time, group time, circle time, shared play, free play, activity time, library, buddies, special visitor, special activity, numeracy block, literacy block, maths, literacy, numeracy, English, maths block, independent learning, language studies, choir, singing, drama, dance, art, visual arts, music, science, STEM, STEAM, robotics, maker space, iPads, computers, digital technologies, math centres/centers, rest time, relaxation, mindfulness, PE, sport, health, lunch, recess, little lunch, fitness, listen, time to sit, assembly, home time, swimming, Sports Day, birthday, history, geography, cooking, kitchen garden, plus 18 different language cards including Aboriginal languages.